MAAD DJs the celebration of the merge of Australian Fashion Labels' corporate office with the BNKR DTLA retail space in downtown Los Angeles, ushering in a new era for the company. This party showcased BNKR x AFL’s re-designed space and a fusion of the fashion of Los Angeles and Adelaide. MAAD played a mix of indie dance, house, R&B to enhance the party vibes. 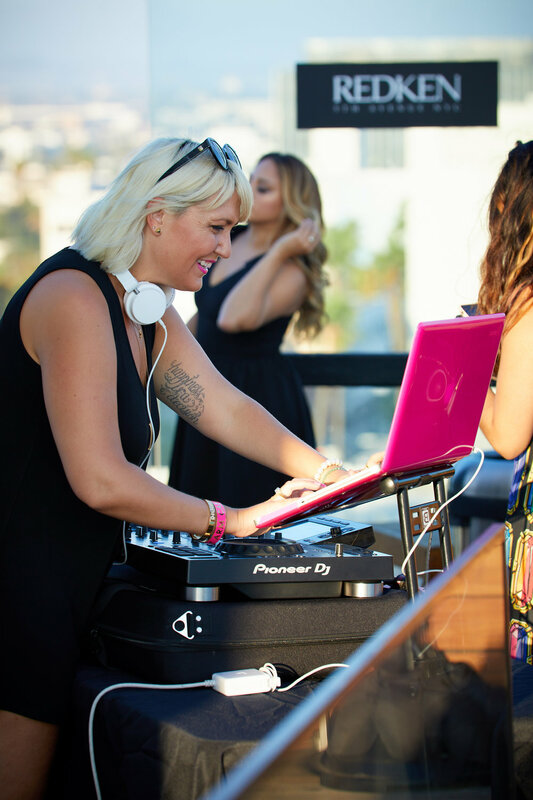 Thank you Redken, NYX and Agency Guacamole for booking DJ ShanLynn for your internal event at Above Sixty Beverly Hills! ShanLynn had a blast playing upbeat, poolside, house, indie dance, and R&B remix! Memorial Day Weekend is here and that means sales! Visit Prism's DJs Val Fleury & Sophenom on Thursday, May 25th and Saturday, May 27th as they provide the tunes while you shop til' you drop!